Depending on the type of company that you’re operating, you will have very different needs from your office space. Not only are certain job descriptions best suited to specific office environments, but there is a huge range of additional factors to consider when choosing an office that will set up your company for long-term success. Certain occupations require more lengthy periods of uninterrupted concentration than other professions. For professions such as computer programing, regular interruptions can be extremely detrimental to overall productivity. If your business operations primarily consist of concentration intensive tasks then spaces with a higher number of self-contained units are likely to be optimal. 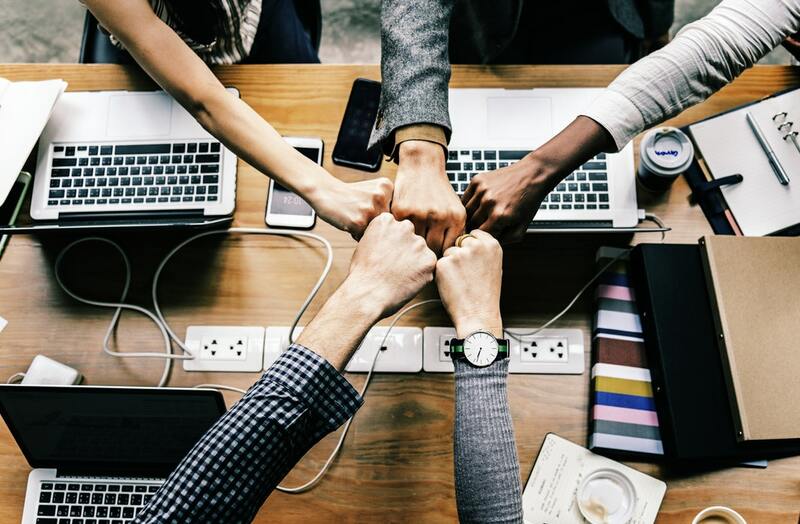 Other modern businesses may require more collaboration between employees or departments with separate roles, for instance, the creative and media planners within a large marketing department need to be constantly collaborating to produce the best results. There is a raging debate about the best office layouts for maximizing collaboration among workers. General Managers and CEO’s have contemporaneously favoured the move to open plan office designs. However, this hasn’t necessarily reflected the wishes of their employees. Proponents of open plan offices haven’t been at all shy about expressing their contempt for this office layout style. A somewhat hyperbolic article recently published in Vice Magazine was entitled “Open plan offices should be banned immediately”. A recent study by Auckland University collected data from over 1,000 respondents working in both open plan and traditional offices. The study found that significantly fewer co-worker friendships developed among workers in open-plan offices when compared to workers in more traditional office environments. Even if as the research suggests open plan offices turn out to be less effective for both employee productivity and producing collaboration, there are several benefits that these spaces still have in their favour. Firstly, form a simple economic perspective they allow you to fit a larger number of employers within a set amount of space. This is ideal for fast-growing companies with expanding teams as it means you can add additional desks and increase your employer count at minimal additional costs on top of the hiring and salary. What impression does your office give to current and prospective clients? Appearance matters, especially first impressions because certain types of office spaces have become synonymous with certain industries. There can be significant costs in attempting to go against the grain and running your company from an office that doesn’t fit the industry mould. When people think of modern disruptive tech companies, they automatically picture modern offices complete with unnecessary often-extravagant distractions such as Ping-Pong tables. While this may seem like a negative impression to give to potential clients there is some evidence that it actually conveys a positive message. Best selling author Seth Godin argues in his podcast Akimbo that modern tech offices such as Google’s creative spaces act as a ‘costly signal’ that reads: we are so productive and effective at our jobs, that we can produce results in spite of an office laden with distractions. An additional consideration when considering the optimal office environment for your business is “will this office attract the team I need”. In some verticals, there is a huge undersupply of prospective employees with the necessary skills needed to run the business. If this is the case then the more benefits your offices can bestow on potential employees the better your chances of building the right team for growth. When selecting an office space selecting a location near to major transport hubs may infer a huge advantage on your employee search for the convenience this is likely to offer employees. The first impression of the office at interview may also have a large impact on your likelihood of appealing to the right candidate. Once you’ve navigated the hard task of selecting the right office for your business, the next step is the monumental task of organizing the move. Thankfully Business Relocations have been looking after the commercial moving needs of New Zealand businesses since 2001 and has over 70 years of combined relocation management experience. Our office moving team is highly experienced in planning, packing, moving and unpacking to suit your budget. Business Relocations can help make your office relocation as simple as possible. Get in touch with our business relocations consultants or office moving specialists today to discuss your unique requirements and budget. We’re moving offices in Auckland, Wellington, Christchurch, Hamilton and Whangarei.